The German born Belgian dual national enters Formula E with Techeetah on the back of success in the World Endurance Championship with an impressive racing record. German Lotterer made his racing debut in Formula BMW Junior in 1998 picking up the championship with a fantastic 14 wins in 20 races. Then the following year in 1999 he moved to Formula BMW ADAC with the BMW Rookie Team again picking up the championship with another stellar 15 wins in 18 races. In the same year Lotterer also raced in the Eurocup Formula Renault 2.0 that saw him net a respectable 86 points to fifth. 2000 brought new opportunities to Lotterer, he raced in the German Formula 3 championship with Opel Team BSR picking up 3 wins and 7 podiums en route to fourth in the championship standings at the end of the year. Following this impressive junior record, the young German was signed as Jaguar’s test driver for the 2001 Formula 1 season. Along with his testing duties that year, Lotterer raced in both the British Formula 3 championship & the Masters of Formula 3, where he finished seventh and second respectively. Lotterer was again named Jaguar’s test driver for the 2002 Formula 1 season and unfortunately missed out on a drive for the same outfit the following year. The German then turned his attention to Japan for his career racing in both Formula Nippon and the All Japan Grand Tour Championship in 2003 for Nakajima Racing finishing in fifth and sixteenth place respectively. He continued in both series the following year with improved results in second and eighth. He continued in the series for the following years, changing teams to TOM’s Racing in 2006 in where he won the Super GT Championship and came third in Formula Nippon. Further successful results in Super GT & Formula Nippon came in 2008 when Lotterer finished third. He made his 24 hours of Le Mans debut in 2009 with Kolles reaching the chequered flag in seventh place. 2010 saw the German finish just short of first place in every series he raced in, a second place in the 24 hours of Le Mans with Audi and second also in Super GT & Formula Nippon. Lotterer won the 24 hours of Le Mans on his third attempt with German manufacturer Audi. He also won the Formula Nippon championship the same year following many years in the championship. Keeping impressive form up in 2012 saw Lotterer win Le Mans again but also win the World Endurance Championship in his debut year. 2013, 14 and 15 saw him finish second in the World Endurance Championship with Audi with him winning Le Mans in “14. Those same years saw him finish second, third, second in Super Formula (called Formula Nippon until rebranded). In 2014 he replaced Kobayashi at Caterham to race in the Belgian GP in a one off appearance, he qualified 21st ahead of his teammate Ericsson but saw his race prematurely ended on lap one following a mechanical failure. 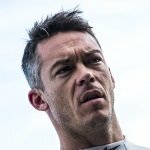 2016, Lotterer finished fifth in the World Endurance Championship and runner up in Super Formula. Following Audi’s withdrawal from the World Endurance Championship the German managed to get himself a seat at Porsche for the 2017 World Endurance Championship. He failed to finish in the 24 hours of Le Mans however picked up six podiums to find himself in 4th place in the standings.